You may have noticed similar designs being sold but those are all copies from China and you can see from the number of sales my store has (10k+) compared to others. This is my original design and the first with this design inspired by vintage storage boxes. All the others are cheap imitations from China, they have copied them and manufacture it there and everyone else drop ships them. 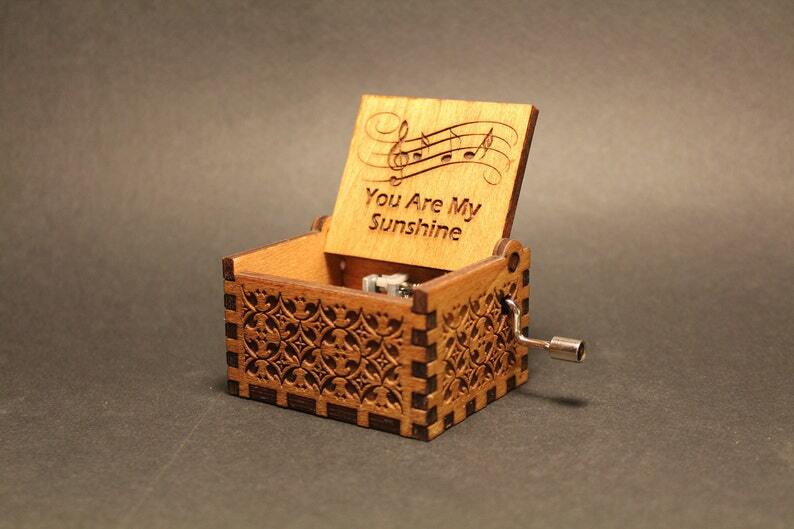 Each Music Box is handmade on the tiny Mediterranean island of Cyprus by us and they come with a Full Lifetime Warranty. Should anything ever happen to your Music Box, let us know and we will take care of it immediately. We hope you enjoy the craftsmanship. Original hand crank Music Box, just turn the handle and it will play this well-known tune. Amazing! Came quicker than expected and exactly as described. Handwritten note included. Thanks guys!